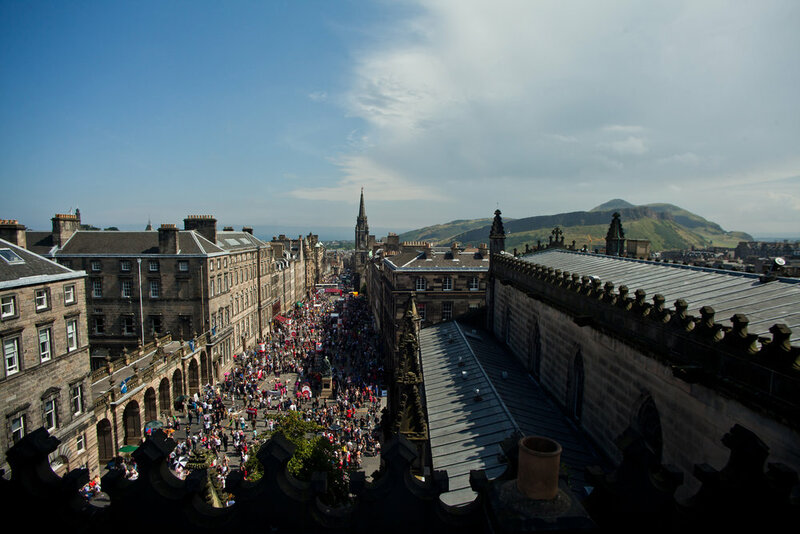 Ok, we can’t deny it, visiting the Edinburgh Fringe Festival for more than a day or two is not going to be cheap. Food can be pricey, accommodation costs skyrocket, and you would not believe how much you can end up spending on an emergency brolly and dry socks. One thing that can be fairly cheap however… is the actual shows! This year, the most expensive show we saw cost a whopping… £14.50. But we understand that even this adds up, so we’ve got your backs, lovely readers – and we’ve created a wee guide to the free fringe! Aren’t we nice? First things first… the free Fringe…isn’t exactly free. I know, I know – what a swizz! But when you consider that the people you go to see also need to eat and drink and deal with super-high Edinburgh accommodation prices – then it seems a bit much to expect them to entertain you COMPLETELY for free. You do have the option, however, of paying what you can afford or, better still, what you think the show is worth. For the free shows we went to see, this tended to be around £10, but some we thought deserved more and some… less. As you can probably guess, not all free shows were created equal. Some that we saw were magnificent – others were not. Here are three we saw and a bit of advice on how to pick them. Our very first show this year was to see young Shropshire magicians, Kane and Abel, perform their short free show at the Liquid Rooms. Half of the VBO team had seen them last year and thought they were great fun, so we thought they’d be a pretty safe bet. We were right. This lively pair put on a family-friendly show to a full house and it was a very pleasant way to while away a wet hour on a Sunday afternoon. The show itself is daft. Completely daft. And, with the exception of a couple of very cool tricks, the magic was nothing mind-blowing, but these brothers have a lovely chemistry and an excellent way with the audience. Go for the magic, but stay for the banter. OUR VERDICT: Listen to your friends, they’re very often right. …As was the case, sadly, with Miss Silvia Sceptre’s Phantasmagorical. The catalogue promised intriguing magic, spooky mind reading and echoes of Victorian spirit theatre. What we got was a lady in a bustle making vague statements about audience members’ personalities, based on their car keys. The problem with magic shows, is that we are so used to watching each trick to work out how it’s done, that it really needs to be something special to get us to suspend disbelief. Miss Sceptre was very engaging and had come up with a fairly interesting backstory, but her magical ability let her down. A real shame, because the long room at Cabaret Voltaire is a fantastic venue, well-suited to the proposed show, if it had lived up to expectations. Our third lesson of the free fringe is: allow yourself a little room to go with the flow. Monday 13th saw us wandering up to the Voodoo Rooms, only to be confronted by a very long – and very soggy – queue to see “Dave: The Best Magician”. Even though we were 20 minutes early for the show (and no one had gone in yet), we were told that it would be standing room only. Hmph. As we stood in the drizzle and debated, one of the lovely Fringe leaflet-giver-outers recommended we try another show at the venue which was just about to begin. “I think you’ll both really enjoy it,” she said. And boy was she right! Anna Morris’ Bombastic is one hour of flawless fun. This brilliant character comedian regaled us with four side-splitting monologues from four completely different personas. First is J’anene, the painfully cheerful director of an extremely budget cruise. Then Georgina – the bride from hell, who spends her spare time raising money so no fiancée need ever suffer with cava instead of Champagne. Her Mary-Berry-on-crack character had me making alarming wheezing noises, but my favourite was the straight-talking fashionista-vlogger Taylor, whose lesson on how to meet, woo and dump someone in 5 minutes nearly finished me off. Seriously – this is a free fringe show I was happy to pay for. OUR VERDICT: Be open to the possibility of unexpected fun. And finally, if you want a really casual way to find out what shows to see – we recommend heading over to watch “C for Free” at C royale, where you can catch snippets from a range of different shows – from music and magic to cabaret and comedy. It is also free, but all money raised goes to charity, rather than the venue, so it’s worth not being too close-fisted.